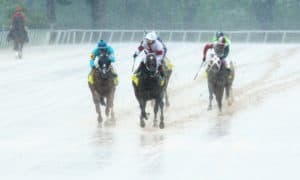 Almost every year around this time, a huge longshot unexpectedly wins a major Kentucky Derby points race, kicking up a dense cloud of dust along the Derby trail and making it very difficult to discern how to navigate towards the Twin Spires of Churchill Downs in the far distance. 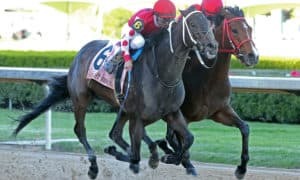 When the 29/1 longshot Harvey Wallbanger snuck up the rail late to beat the highly-regarded Derby prospect (and the race’s odds-on favorite) Maximus Mischief in Saturday’s Grade 2 Holy Bull Stakes at Gulfstream Park, it reminded us all of the Derby trail’s unpredictable nature and why it’s an annual spectacle to follow. 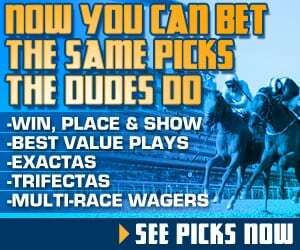 Toss in the 128/1 super longshot Everfast getting his head down on the wire late to nab second over Maximus Mischief, and the Holy Bull’s volatility had prognosticators driving straight off the side of the Derby trail into a ditch. It’s time to call a tow truck, put the Holy Bull in our rear-view mirror, and get back on the road. Now that I’m done with my trail analogies for this article, where does this all leave us along the Florida path to Louisville? For starters, we can look forward to a very big running of the Grade 2 Fountain of Youth Stakes on March 9. With a top-level field expected, it’s possible that the results of Saturday’s Holy Bull won’t resonate much longer. 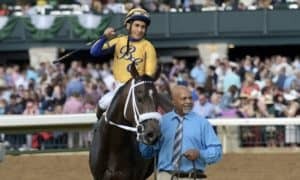 According to the Derby Trail Tracker, last fall’s Grade 2 Kentucky Jockey Club Stakes winner Signalman headlines the list of probables for his long-awaited 2019 debut. Since Kenny McPeek trains both Signalman and Harvey Wallbanger, it’s likely that both won’t run in the Fountain of Youth, so where we’ll see Harvey next is a question that we’ll monitor closely in the coming weeks. McPeek has said that the Grade 1 Florida Derby is Harvey Wallbanger’s ultimate goal. The son of Congrats entered the Holy Bull with good back class, having lost to the Kentucky Jockey Club runner-up Plus Que Parfait and the Grade 1 Champagne Stakes winner Complexity earlier in his career, but for the time being, we’ll shift our focus on who we know will enter the Fountain of Youth. Signalman recorded his first work over the Gulfstream strip on Sunday morning after a comeback work at Payton Park to end January. In a Gulfstream Park press release, McPeek said, “We gave him a little bit of a break (after the Kentucky Jockey Club) because he had a bit of a hard campaign. He got a part of a month off in December and we kind of eased him back. 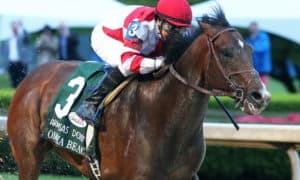 We have time for four breezes before the Fountain of Youth.” Signalman, who also ran third in the Breeders’ Cup Juvenile, should relish the Fountain of Youth’s 1 1/16-mile distance, the same as his last two starts. Last fall’s Grade 3 Nashua Stakes winner Vekoma is also targeting the Fountain of Youth for his 2019 debut and may actually be the post-time favorite for trainer George Weaver. In the Nashua, Vekoma beat Network Effect, who came back to run second in the Grade 2 Remsen Stakes behind Maximus Mischief. Network Effect passed the Grade 3 Withers Stakes winner Tax late in the Remsen, so Vekoma has been flattered without even running since early November. Weaver has taken his time with Vekoma, recently giving him three easy breezes at Palm Beach Downs in as many weeks. 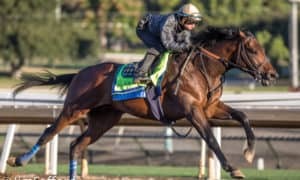 We’ll also see if the highly-touted Code of Honor can bounce back from the hiccups that thwarted his rise to prominence, including his last-out flat performance in the $100,000 Mucho Macho Man Stakes. After missing the Breeders’ Cup Juvenile with a fever and skipping the Remsen due to sub-par training, the Shug McGaughey trainee will get a big chance in the Fountain of Youth to show if he can once again flash the brilliance that he displayed earlier in his career, having broken his maiden at Saratoga and running second in the Champagne. One horse casting a large shadow over the Fountain of Youth probables list is the brilliant debut winner Hidden Scroll. 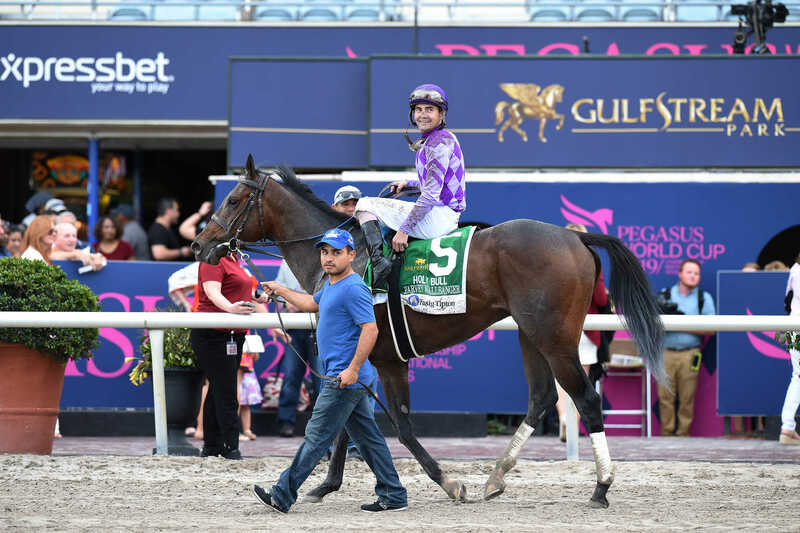 After romping in the slop on the Pegasus Day undercard and garnering a gaudy 104 Beyer speed figure (highest of the crop so far), trainer Bill Mott said that he’d look for an allowance race for his colt’s next spot, but that may not materialize in the Gulfstream condition book. Instead, a test against some of the top prospects in the crop would certainly spice up the race. Let’s also not totally dismiss a return to top form by Maximus Mischief. Trainer Butch Reid has said that he will likely wheel him back into the Fountain of Youth from his disappointing Holy Bull run. 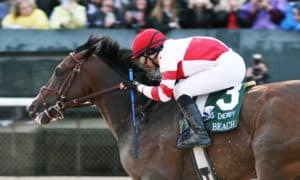 For a list of all probables and possibles for the Fountain of Youth, check out the Derby Trail Tracker, which is updated daily as connections announce Derby trail plans. There was a lot to digest coming out of the Holy Bull, and Federal Case’s race must’ve had trainer Todd Pletcher scratching his head. After getting squeezed back at the break from the 2 post, a horse that had been forwardly placed in both career starts needed to change tactics under jockey Javier Castellano. Sitting midpack, Castellano made a bold mid-race move into a swift pace at the top of the turn. Inching up to be third on the turn only 3 lengths from the lead, Federal Case soon hit the proverbial wall and began treading water quickly, eventually dropping back in the field to finish seventh by 6 1/2 lengths. Much more was expected from the $650,000 Keeneland November graduate, whose owners also campaigned the 2018 Grade 1 Arkansas Derby winner Magnum Moon. After breaking his maiden in October while trained by Rodolphe Brisset, Robert and Lawana Low plunked down their cash and sent him to Pletcher, where he had a decent allowance win here on December 23. Much more also was expected from the $900,000 yearling purchase Moretti in the Withers on Saturday. 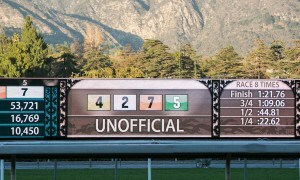 Off as the 5/2 second choice in the wagering, Moretti met an eerily similar fate as his stablemate. Moretti started mid-pack, loomed up to be fourth only 1 length off of the lead in the far turn, but then had nothing left for the stretch run, fading to finish sixth in a field of seven by 7 3/4 lengths. Both may re-emerge in future Derby preps, but this can’t be the way that the two-time Derby winner Pletcher wanted to start his 2019 trail campaign. So where are the Pletchers at this year? After having a sub-par summer at Saratoga with his dirt juveniles, the thought was that Pletcher was saving up his best prospects to go longer distances in the fall and winter. 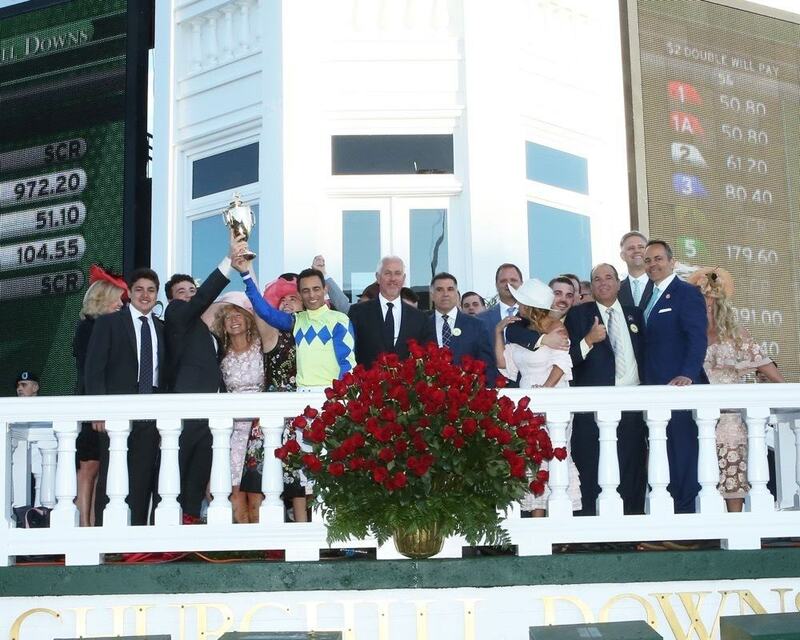 There was an assumed shift in the master trainer’s program, with his clients bringing him classic distance horses that could not be stressed to run sprint races early in their juvenile campaigns. The shift has not come to fruition, though, and the “Todd Squad” has been uncharacteristically lacking major Derby Trail prospects all season. The lackluster performances from Federal Case and Moretti may not be the nails in his coffin, though, because his barn has a few more rounds to fire off. The next Derby Trail hopeful, So Alive, is expected to enter this Saturday’s Grade 3 Sam F. Davis Stakes at Tampa Bay Downs. After breaking his maiden by a neck in the Keeneland mud in October, So Alive was bet down to even-money favoritism in an allowance at Churchill Downs on the Stars of Tomorrow II card. The Churchill slop that day made him look ordinary, as he finished a disappointing sixth by 7 1/2 lengths. Pletcher then added blinkers for his 2019 debut at Tampa, resulting in a professional allowance win while going 1 mile and 40 yards. A slight stretch-out to the 1 1/16 miles of the Sam F. Davis should be well within reach for the half-brother of the 2018 Grade 2 Wood Memorial Stakes winner Vino Rosso. The Sam F. Davis is expected to pack a pretty large field, including the Grade 1 Breeders’ Futurity winner Knicks Go, so it won’t be too easy for Pletcher to get back on track with a win. For the full prospective Sam F. Davis field, check out the Derby Trail Tracker. Pletcher has a few others that may pop up on the Derby trail, including Cutting Humor (second last out in an allowance behind Fountain of Youth probable Bourbon War) and Overdeliver (second last out in the $125,000 Pasco Stakes behind the Grade 2 Tampa Bay Derby probable Win Win Win). Both are nominated for the Sam F. Davis but will likely run in a different future Derby prep. As reported by Dave Grening of Daily Racing Form, Pletcher will send Overdeliver to the Grade 3 Gotham Stakes at Aqueduct on March 9. Pletcher had a good debut maiden win in the race right after the Holy Bull thanks to the Virginia-bred Soldado, but that came at 6 furlongs, and getting to longer distances quickly enough to make the Derby gate this late in the game will be tough. It also should be noted that King For A Day, who ran fourth in the Kentucky Jockey Club, has not returned to the worktab since that race. 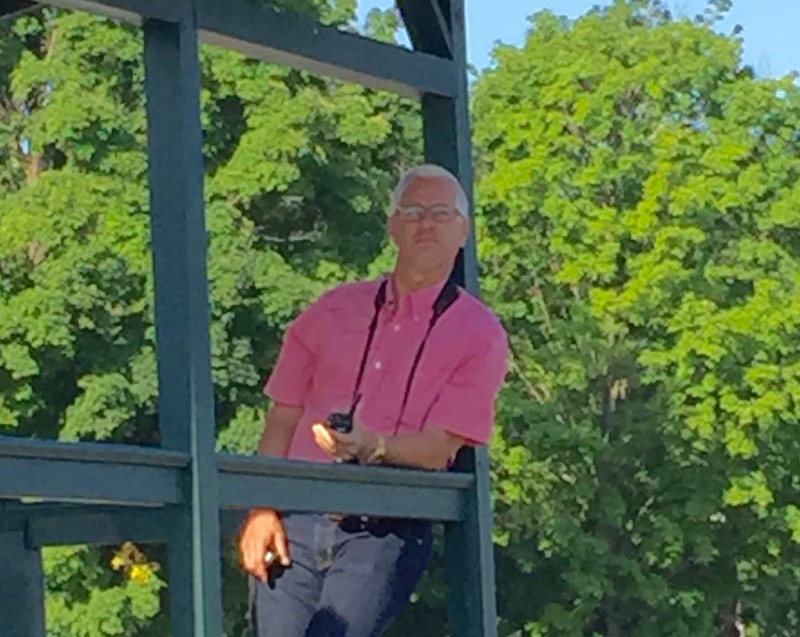 Overall, it’s getting late in the game for the Pletcher barn, a group that we’ve come to expect a lot from in recent years. Hey, everyone has a down year, and maybe it just ain’t gonna happen for Pletcher this year, but it’s still tough to count him totally out in early February. Mucho Gusto is still the Rodney Dangerfield of the Bob Baffert barn. 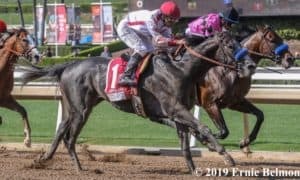 Even after winning the Grade 3 Robert B. Lewis Stakes impressively, Baffert said that he’ll have to find places where Mucho Gusto could win, which means keeping him away from Game Winner and Improbable. Baffert described Mucho Gusto as his “road horse,” so it’s anyone’s guess as to where he runs next. 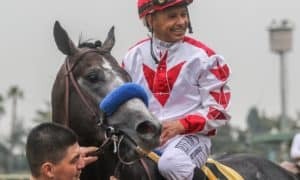 Right now, Gunmetal Gray has to be one of the likeliest late runners to hit the board at a price in the Kentucky Derby. Besides his tough trip in the Breeders’ Cup Juvenile at Churchill, he’s been consistently hitting the board behind the top of the crop, including Saturday’s runner-up finish in the Robert B. Lewis. Fittingly, the Withers winner Tax may not run again until the Grade 2 Wood Memorial in mid-April, which will be a reminder to everyone to file with the IRS! He’s the type of grind-it-out runner who can be dangerous at Aqeduct that he seems to love while staying at the same 1 1/8-mile distance of his last two races. The field for the Grade 2 Risen Star Stakes two weekends from now at Fair Grounds is starting to take shape, and it looks like it might be a Grade 3 LeComte Stakes rematch with a lot of the same runners. Add in a little bit of spice with impressive allowance winner Owendale and the Kentucky Jockey Club third-place finisher Limonite, and we’ve got ourselves a pretty good first race for 50 points. The question is, can anyone take down the surging War of Will right now? 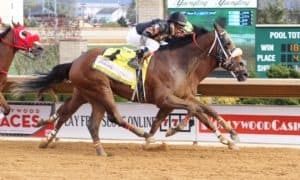 The Grade 3 Southwest Stakes, scheduled for President’s Day, is also looking a lot like the previous race run at Oaklawn, the $150,000 Smarty Jones Stakes. The big question here is if Baffert will ship in one of his second-stringers for a shot at Derby points. That’s a wrap for this week. The Derby stories are really starting to get interesting. Please follow me on Twitter @SaratogaSlim and bookmark the Derby Trail Tracker as we meander our way to Louisville.